Is the inside of your fridge too cold? Is Your Fridge Too Cold? 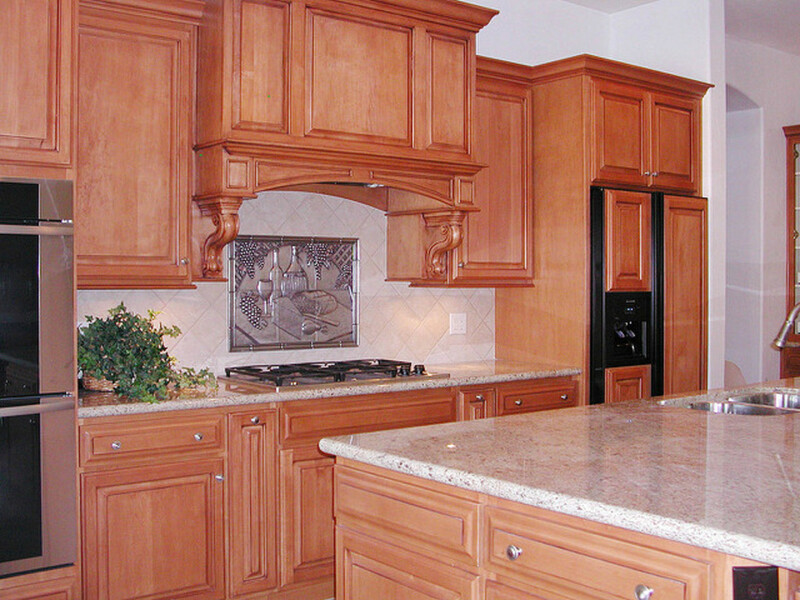 Refrigerators are designed to provide a cold environment for food. The optimum temperature is around 34 to 40 degrees F. The freezer should be around 0 degrees F. The best way to monitor your refrigerator is to start by making sure that you have a thermometer. 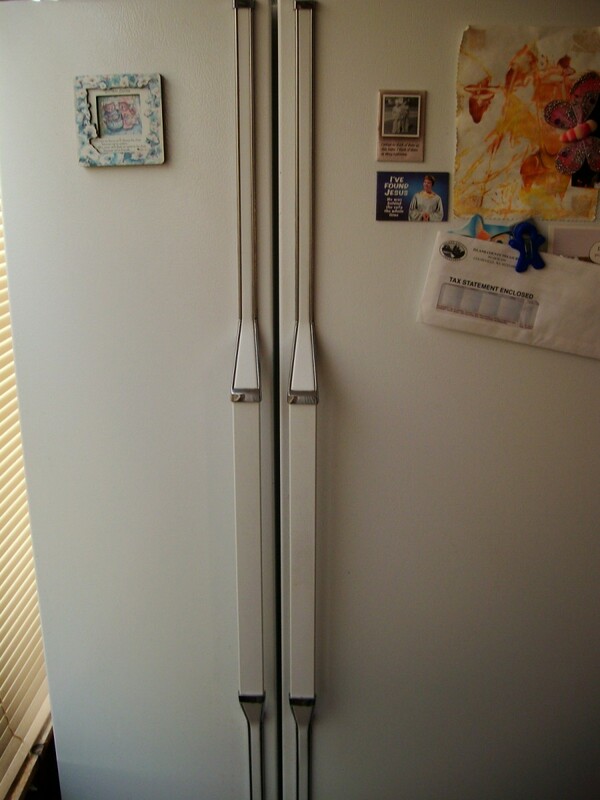 You will always know when you open your refrigerator if the temperature is in the optimal range. 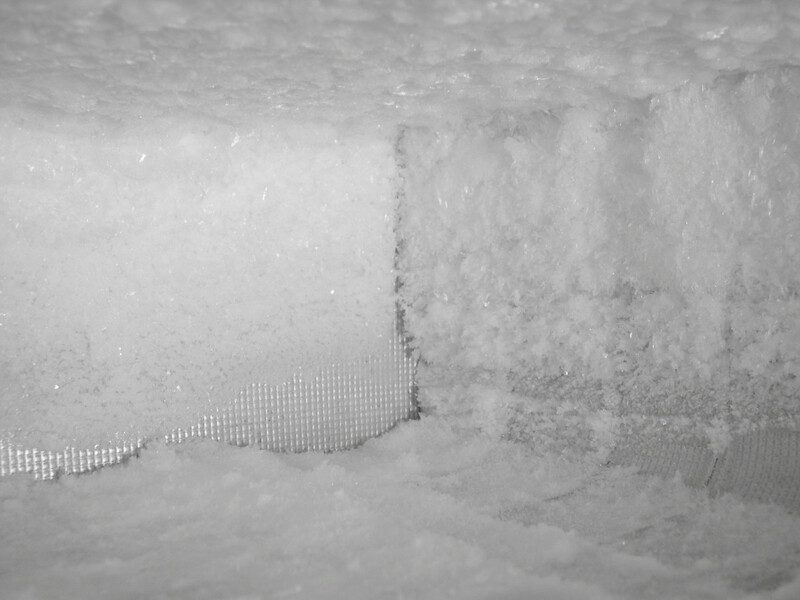 The freezer has the refrigeration coils (evaporator coils). This is where the coldest temperatures are. The fresh food compartment on the refrigerator has no coils. (Older refrigerators may be built with coils in the fresh food compartment and/or a top freezer that needs to be defrosted by hand). A refrigerator depends completely on air flow inside the box. The cold air has to be circulated into the fresh food compartment in order to bring it down to the correct temperature. When the fresh food compartment reaches the desired temperature, the compressor is turned off and the refrigerator stays off until the temperature in the fresh food compartment rises. The thermostat that controls this on off feature of the compressor is called a cold control. While the weather is warmer, the temperature in the fresh food compartment might be a little high in the top of the refrigerator. This increased temperature may require the freezer compartment to become colder than usual. On a side-by-side refrigerator freezer, the air flows through a vent door at the top of the fresh food compartment and then flows back into the freezer in the bottom of the freezer. The cold can flow back into the bottom of the refrigerator. If the air is blocked at the top or closed off, then the refrigerator will have to run for much longer and the freezer temperature will fall to low levels. When the refrigerator turns off, the air from the freezer can transfer to the bottom of the refrigerator, causing very cold temperatures and freezing the vegetables and fruits stored in the crisper. Blocked air flow can result in a similar problem. Be sure that the vents are not blocked in the refrigerator or the freezer section. A bag of peas in the freezer can fall next to the lower bin and completely obstruct the air flow. There are generally two controls knobs in a refrigerator, one is for cold control and that is the thermostat, and the other knob adjusts the air flow between compartments. The air flow should be set to a central location to start. If it is set to one extreme end of the scale, too low or too high, the air exchange may be wrong. If you think that the controls have been reset mistakenly, set them both for a mid range and allow the refrigerator to adjust to the new settings for 24 hours. Avoid excessive opening and closing the refrigerator during that time. Write down the final temperatures. Successive settings will have to be compared to this setting. If everything in your refrigerator is freezing and it is more like a freezer than a refrigerator and the controls seem to be set at some mid point, then it is likely that this problem is not caused by air flow problems. Important Note: Never work on an appliance until the power is disconnected. If the fan is working in your fridge, the air flow in the refrigerator seems unblocked, and the settings are correct but you are still getting very low temperatures, then you are probably experiencing cold control problems. If your refrigerator has electronic controls, then the control has a sensor and the problem is probably with the electronic controls. The problem with electronic controls is difficult to diagnose and you need a wiring diagram and and some patience. If this is the problem, the refrigerators controls might have to be replaced. You'll need a qualified service man. If your refrigerator has mechanical controls with a thermostat, you are in luck. This cold control must be replaced but this is a job that you can do yourself normally. You might need a repair guide to do so. The control knob for temperature control in the refrigerator is connected to the cold control. Carefully inspect the housing where this is mounted to figure out how to remove or detach the housing. This must be done carefully to avoid any damage to the components found there. The cold control will have a temperature sensor attached to it and it will be located near the back of the compartment. You can follow the tube that attaches the two together to find the location. Carefully replace the control with the new one. Take your time. Ask for help on the forums and here. It is very difficult to understand refrigerator settings because adjustments need to be made in small increments. Then, you must give the refrigerator at least 24 hours to balance to the new settings. This messes people up all the time. Naturally, the first urge people have is to check the temperature and when they see that it is not cold enough, they'll turn the temp lower. The next day the box is too cold. So they move the control to a warmer setting. Start with a thermometer. If you don't have a thermometer, order one right now, or go to the hardware store and get one. You need a thermometer in order to make decisions about settings. 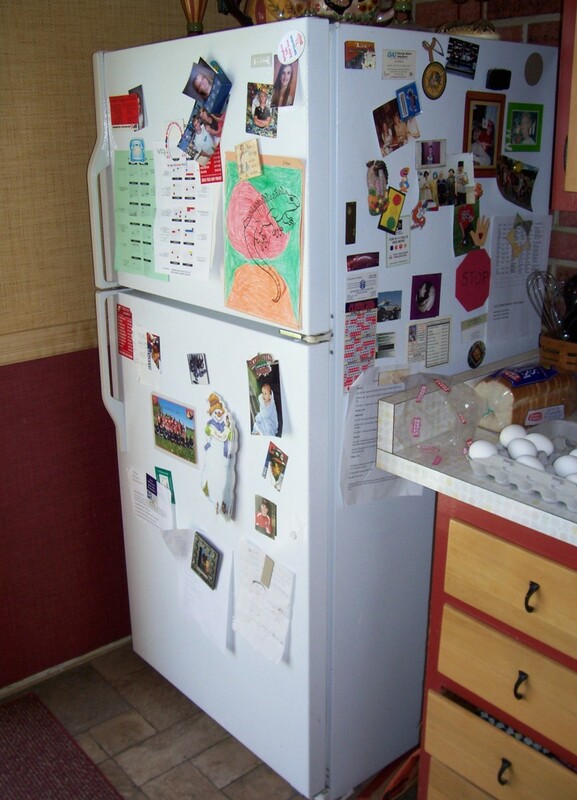 The best way to get your refrigerator balanced is to start with setting the dials at a mid range. This will open the airflow door to halfway and sets the cold control to a mid range temperature. This is the best setting to simulate factory settings. Wait 24 hours. This is very important. Not four hours, not ten hours. Wait the full 24 hours, and not any less. During this time, resist opening the refrigerator doors when not necessary. After 24 hours has passed, record the temperature. If the refrigerator is too cold, turn the temperature knob toward warmer about 1/8 of a turn, this normally would take you to a new setting. Wait another 24 hours. Again, wait the full 24 hours. 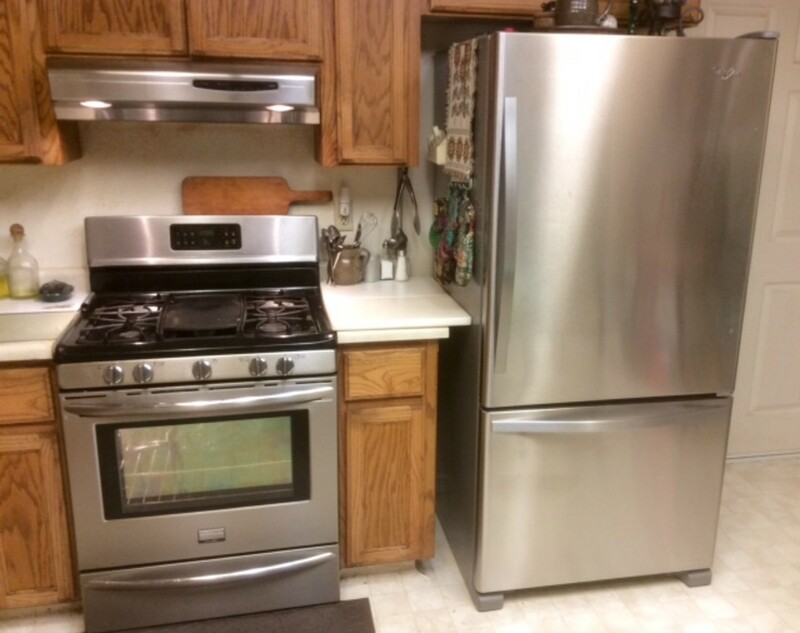 If the temperature is too cold still, move the air control toward the freezer cold or refrigerator warm. If it is not marked. 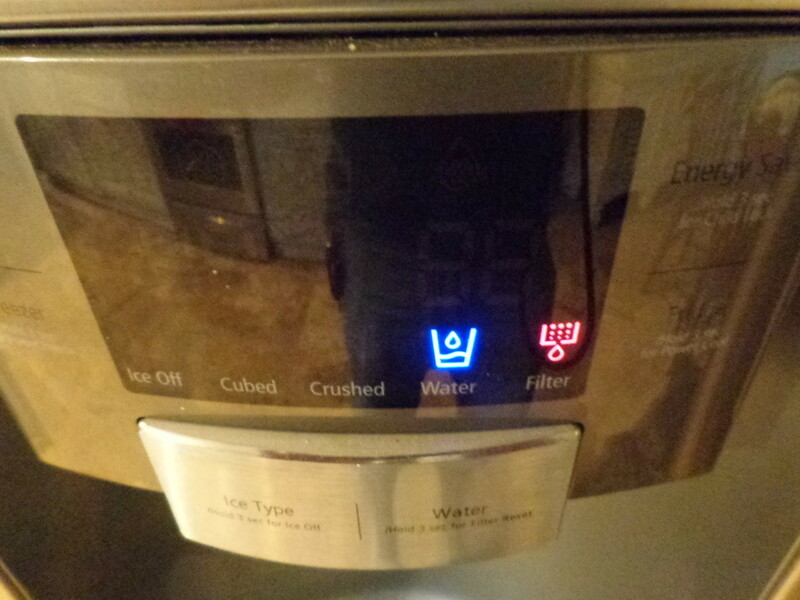 Normally it works this way: clockwise = refrigerator warmer, counter-clockwise = refrigerator cooler. Clockwise closes the little door that controls the air flow. Yours could be different and so you'll need to inspect the action when you open or close the vent. If you open and close the door a few times, you may be able to see the action, it would be located in the rear on the left side at the top of the fresh food compartment. 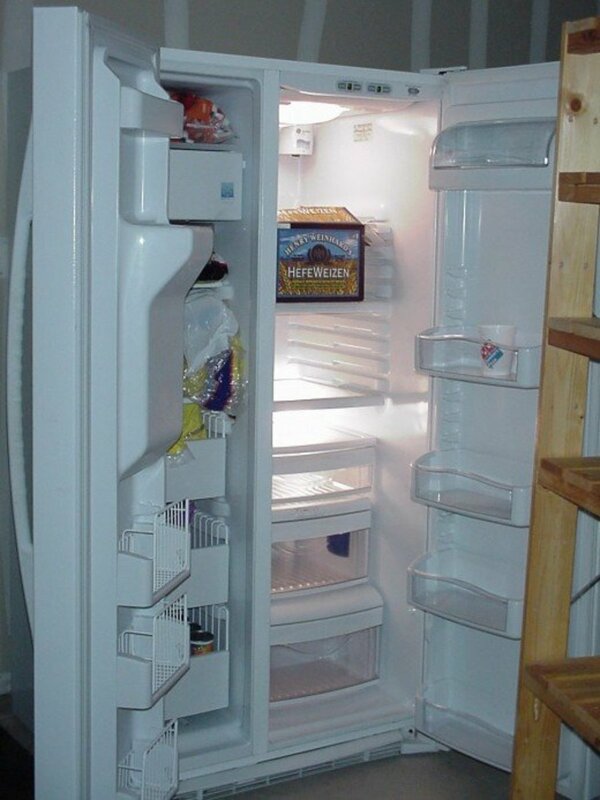 While the refrigerator is running, open and close the door. With it open all the way, you should be able to detect a cold air breeze from the vent. Check the doors to see if they are sealed completely. An air leak in a door seal can cause the control to keep calling for cold. The air is leaking into the compartment and raises the temperature. If the circulation fan is not working, this usually results in long run times and very cold temperatures in the freezer. 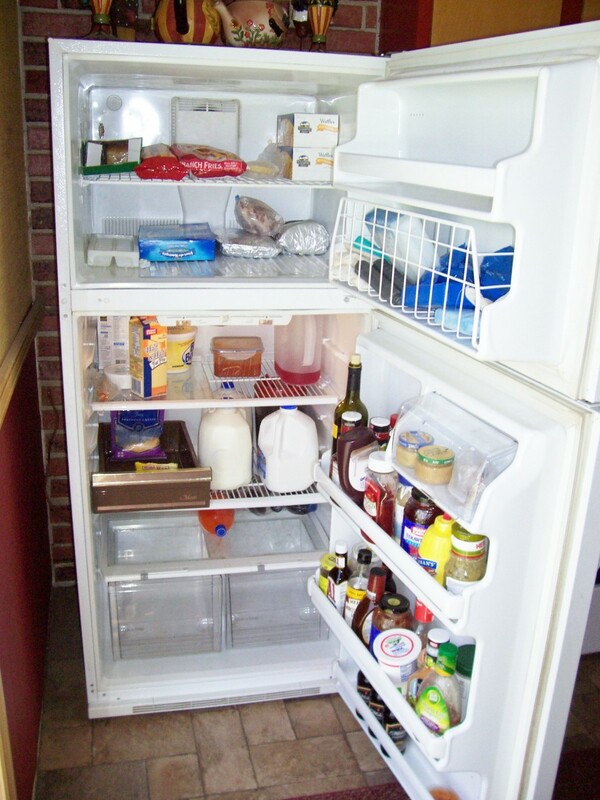 There can be a bleed of the cold from the freezer, especially on the bottom of the refrigerator fresh food section. This would result in uneven temperature in the fresh food compartment and may result in freezing in the lower level and crispers. Check to see if the coils are clean. This is very interestign, I shall try some of your advice. how to keep food frozen, adjust to min or max? I have a 410 litre fridge over freezer combination and the fridge compartment - freezes the vegies in their crisper boxes on the bottom shelf at -1'C (30'F) or worse, and lets dairy go off on the top shelf ie temp over 4'C (39.2'C). I turned the fridge off and left it off for 48 hours and cleaned it, dried it all out, cleaned the water out the back of it, and then turned it back on and it's still doing it. It's been running on the same setting 24hours and the top compartment temps are varying from 6'C to -3'C on the same dial setting. Not happy. The fan is definitely working when it decides to turn itself on. But when it's off there is no air circulation in the top compartment. There's only me so not a lot of fridge door opening going on. Hello, Steve. My refrigerator is too cold sometime that makes my food ice, but sometime it's working normally. My freezer is always working fine. What's the problem of it, how am i gonna fix it? @whitton Thanks for reading and leaving a comment, I agree wholeheartedly, a thermometer is cheap and indispensable. I use them all the time and check them everytime I open the refrigerator. That is how I realized I had a defrost problem and then when the fan went out. Great Hub Steve! You have some very useful information here. A refrigerator thermometer can be an inexpensive way to save real money. A refrigerator thermometer is especially useful if your fridge has only a dial thermostat. You can also use it to check that temperatures are still safe on a model with a built-in thermometer. And during a power failure, a thermometer is indispensable. If you’ve been without power for an extended period, you can use the thermometer to check that temperatures are still safe. LillyGrillzit You know I want to help you, not make you feel guilty. Guilt isn't any good if it does not motivate you. Time to get angry and attack that fridge. It is an easy battle because it is a machine and you are not. 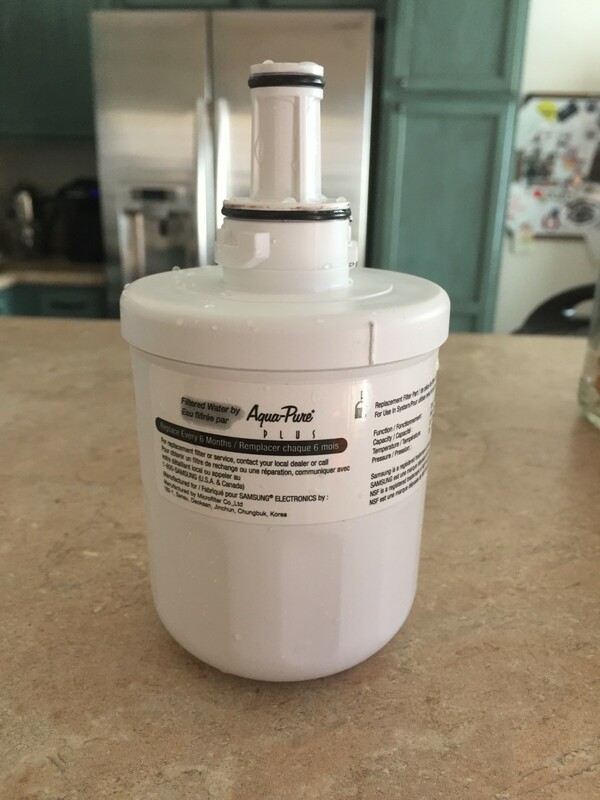 bayoulady Thanks for the comment...remember the most likely problem is a cold control. You need to have a thermometer to see what the deal is. Good luck, hope this helps. Glad to see a hub on such a puzzling problem. lately my lettuce has been freezing. I'll check the airflow and see if that heps. (My top freezer is cramed, so it probably is.) Rate up! Paradise Nice to have you drop by again. Thanks. KKalmes weather conditions definitely have an effect on refrigerators. You can't be expected to change the setting every time the weather changes. And the load should not be critical. I suspect that the old refrigerator has an air leak. Air is infiltrating the refrigerator. The most likely cause is a leak in the seal.....probably low on the door. This will cause the excessive build up of ice and moisture. If the box is sealed, the most noticeable problem would be moisture on the door around the seal. It should not be as much as you are experiencing. It might be time to get a new fridge. Hello Steve, thanx for the info... I have the hardest time setting the temp when we have very humid weather and everything seems to be dripping wet, then I get little ice skating ponds on each shelf. Settings are on recommended setting for both fridge and freezer. Is it possible that going from full to the point of spilling out and almost empty except for condiments and ice makes a difference in what the settings should be to prevent ice in the fridge and ice fog in the freezer? The fridge is very old, came with the building when we bought it and the building is 101 years old... fridge is probably 30 years old. Good hub! I was having that trouble, also. Now I know how to fix it! Thanks. Nell I hope it helps, that is not the proper way for a freezer to be.